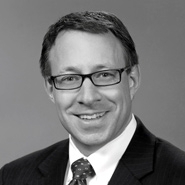 Dinsmore & Shohl LLP is pleased to announce partner Peter W. Hahn has been appointed chair of the Ohio State Bar Association’s Construction Law Committee. He will serve a one-year term. Hahn devotes the entirety of his practice to construction law, representing commercial contractors and project owners in all facets of a construction project. He is a former chair of the Columbus Bar Association’s Construction Law Committee as well as an active member of the ABA Forum on Construction Law. He is a frequent presenter to the Builders Exchange of Central Ohio and other industry trade associations. Hahn received his undergraduate degree from the College of Wooster and his J.D. from the Washington University College of Law.